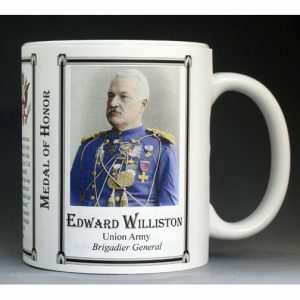 This Boston Custer mug is part of our collection of Civil War biographical mugs. 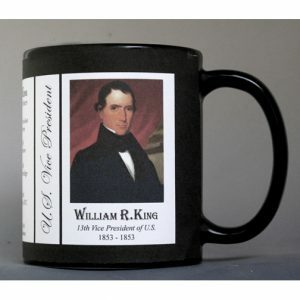 An image of Boston Custer and a short biography are features of this history mug. 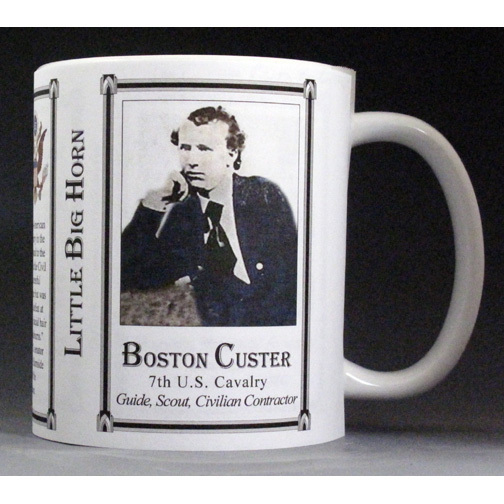 Boston Custer was a scout, packer, guide and forager, who worked as a civilian contractor for the 7th Cavalry. 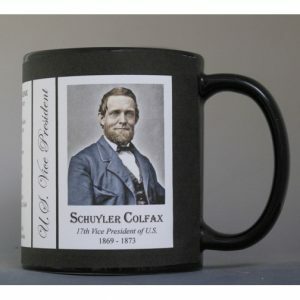 He was the younger brother of Civil War Army veterans George Armstrong Custer and Thomas Ward Custer. Due to poor health, Boston was unable to officially join the Army. At the Battle of Little Bighorn, Boston was with the pack train at the rear of Custer᾽s troops when his brother George requested ammunition for an impending fight. Boston, along with his nephew Henry Armstrong ‟Autie” Reed, brought ammunition to the front. 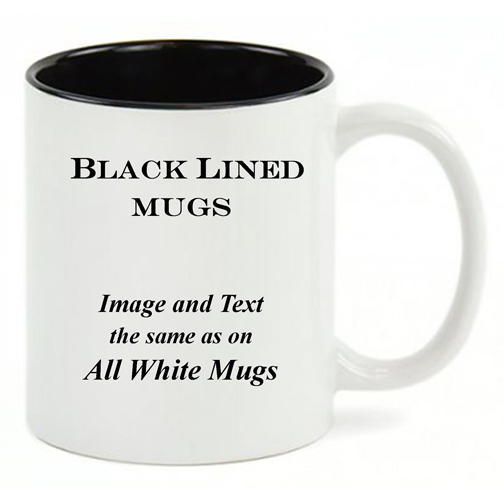 All three Custer brothers, as well as their nephew, were killed in the area known as Custer᾽s Last Stand. 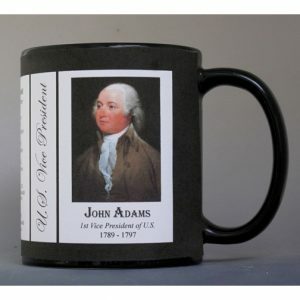 This Boston Custer mug is part of our history mug series profiling the many unique individuals who shaped our country through their actions.